‘Buddha’ As the years go by, this particular word has become increasingly meaningful and precious to me; it is something that reminds me of the way of mindfulness. I came to Buddhism as an adult after being brought up in a Christian family where the word ‘buddha’ was never spoken. When I was twenty-one, I deliberately chose Buddhism because of the teachings. The word ‘buddha’ itself, however, still remained a kind of abstraction in my mind. I could be inspired by the idea of a buddha, but it is only after years of practise that the profound meaning has manifested. I am not saying that I am a buddha because that doesn’t make sense. People have claimed to be buddhas, but that isn’t actually the way it works; it isn’t a question of becoming or personally identifying with the word ‘buddha’. To do that is a sure sign that the person is suffering from an inflated ego or some kind of delusion or misunderstanding. As in any religion, one needs to internalise the conventions that are being used; we need to make them work for us. If religion is no more than a set of symbols and doctrines that are understood intellectually and defined with words but not experienced, I would not regard that as a real path; I would consider that to be more like an ideal, and ideals do not really help us in practical ways. Our lives as human beings are spent in dealing with the experience of consciousness, with the realities of sensitivity, with the experiences that we have of pleasure and pain, loss, separation, birth, death, love, hate, desire and fear. Ideals can inspire the mind, but in terms of developing a path, we have to let go of ideals. It is good to keep an ideal in mind as a direction, but then to open to the reality of experience. The vehicle in Buddhist terminology is Buddha-Dhamma-Sangha, the three refuges or the Triple Gem. Buddha knows dhamma. If you know dhamma you know Buddha; these two depend on each other. On the other hand, in terms of the ordinary conventional life that one lives as a human being, as a personality, one experiences life. We tend to interpret our experiences from the position of ‘I am’, from the ‘me and mine’ pronoun. Everything is flavoured with this distortion of personality; everything is happening to ‘me’, and this ‘me’ is based on identifying with the body. We identify strongly with the human body and with the conditions of the mind—with emotional habits, thoughts, memories, and things that had been instilled in us after we were born. I remember my early childhood as being quite magical. There was no sense of being a person then; merely a sense of feeling loved, wanted, and a part of everything. Life was interesting. My sister and I would go for walks in the woods and discover new flowers and new things that fascinated us. Tiger lilies grew wild, for example, in the Northwest of the United States and because of their name my sister and I would make up stories about them; the same with ‘toad stools’. This was all quite innocent, quite pure, in the sense that it was not coming from a competitive spirit or any feelings of self-importance; instead there was a sense of trust and security that allowed us to spend our time discovering the life around us. I don’t remember much pressure being made upon me until I was about five years old when I had to go to school. I think that was the first disillusioning experience of my life. Suddenly the world was not as nice as before. It was like being thrown into a competitive realm, of having to fend for oneself, of having to fight for one’s rights and protect oneself from other children. Little boys like to fight. Before going to school I don’t remember being in any fights, but then I found myself in this realm of having to fight my way out of situations. In Buddhism we talk about the five aggregates—form, feeling, perception, mental formations, and consciousness. Form and consciousness are not acquired on a personal level; they are natural; you get them when you are born; they somehow come with birth. Feeling is also natural experience, a natural sensitivity that we have. We are born into a sensual realm with a sensual body; it is all about senses and sensitivity, and that is natural. Pleasure, pain and neutral sensations are natural to the realm that we live in; it is the way it is. The conditioning process takes place in the aggregates of perception and mental formations. We start perceiving and naming things; we start trying to explain, trying to define, trying to understand the experiences we have through language, memory and social conditioning. Our families, peers, society, class, race and gender—these are all identities that we acquire. What we identify with becomes our personality. We see our bodies as: ‘This is mine. That is yours. You look like this. You are a boy. You are a girl. You are white, black, attractive, loveable, ugly . . .’ These are perceptions that we acquire through cultural conditioning. We each have a set of conditions that are constantly being stimulated and which interpret our experiences of life. From the time we acquire the sense of ourselves as individuals, if we never change that perspective, then whatever happens to us we hold onto that conditioning for the rest of our lives. Instead of interpreting experience on a personal level, however, we can interpret it through the Buddha’s teachings. The subject-object pattern of consciousness generally explained as ‘I am the subject and that is the object’ is the conventional reality that cultures share. On the other hand, in terms of the religious experience, and especially from my own experience in Buddhism, there is a lifting out of that sense of a self to seeing it in terms of ‘the Buddha knowing the dhamma’. In terms of experience, everything is dhamma. Dhamma includes all things, all conditions whatever they might be, as well as the unconditioned. There is the conditioned and the unconditioned, and the Buddha is the knowing of both of these. This is an intuitive realisation. The realisation the Buddha had was about the relationship of the unconditioned to the conditioned. When we contemplate the body we intuit the body rather than objectify it and see it through the rational mind, through descriptions and the con­ventions that we have around the physical body. When I first started meditating, I thought it would be easier to understand the human body by getting a book on anatomy and physiology. So I did that; I looked at a book instead of contemplating this body right here. I wanted to see what the liver looked like, and the kidneys and nervous system. It was all nicely presented in this book. Through studying anatomy and physiology from textbooks, charts and graphs, you feel you are acquiring real knowledge. In meditation, however, we are being asked to try to understand the body through the intuitive experience, and that is the present moment. Intuition is the opening of the mind to the present, and the body is the thing that one is experiencing in the present. Intuition is an embracing way of knowing things; it is not discriminative. When we look at a textbook on anatomy and physiology we use discriminative thought. We say, ‘This is a liver; this is a kidney; this is a skeleton.’ We have names for all the bones, nerves, circulation and so forth; we have names for them and so we can memorise them. In the navy I was a medic and memorised the names of all the bones; I used to be able to recite verbatim the name of every bone in the body, all those little ones in the wrists and ankles, and everything. I’ve forgotten them all now, but they are still there! Even if you forget the names, they still exist. When I first started meditating on the body, my mind was programmed to understanding it rationally—it wanted pictures, charts and diagrams. I felt emotionally ill at ease with the idea of just sitting there and trying to sense my body. At first I could hardly even feel the sensations of it! Even though it was obviously a thing that was filled with different feelings and sensations, the conditioned mind was not conditioned to looking at the body in that way; it wasn’t prepared to feel the sensations of it or to use an intuitive awareness around the body, only to rationally think about it, analyse it, and to understand it through definitions, labels, and ideas. As the idea of mindfulness became more of an experience, I began to recognise what it meant to be aware of the breath, of the posture, of the sensation of the body as an experience, as an intuitive awareness. In this way the mind lets the body be what it is in the present, just by recognising that the body is here. Suddenly, the mind is focused on the experience of one’s own body sitting, standing, walking or lying down. After practising concentrating on parts of the body, I found all I had to do was say to myself, ‘Right forefinger!’ I didn’t even have to look at the right forefinger; it may have been completely hidden from my sight, and yet, immediately, I was conscious of my right forefinger. That might sound obvious and natural, yet it was quite a discovery to me, even though, in a sense, I had been doing it all along. If I cut my finger, for example, I knew which finger it was—it wasn’t a mystery—yet I had more or less taken that for granted. It had never really sunk in as experience compared to, for example, saying ‘Little toe on left foot!’ When I did that, suddenly there was consciousness of the little toe on the left foot. There wasn’t consciousness of the right little toe; it was as precise as that. I began to recognise, therefore, that just by this magic we could be conscious of various parts of the body. Experiencing the whole body, however, was another challenge. I could do the bits and pieces—the little toe on the left foot, the arch in the right foot, the right knee, the left armpit and so on, but the whole body? I started thinking ‘whole body, whole body,’ but I couldn’t get hold of ‘whole body’ as experience. Then, suddenly, I stopped trying to figure it out with thought and became aware of the whole body as an intuitive experience in the present. This is using consciousness, but with Buddha as the knower, rather than ‘me’ the person trying to figure it all out from a mind that is conditioned by worldly experience. In meditation, using intuitive awareness or mindfulness as the means, Buddha is the knower. As a matter of fact, it is not even a knower, it is not a person, it is the knowing. For a lifetime we are involved in knowing; we are in this subjective position throughout our lives. In terms of our experience of life, this is the centre of the universe. I am not saying ‘me, a person’ is the centre of the universe, in a kind of megalomaniac way, but as experience we all share this. Each one of us is the centre. Everything impinges on this particular form throughout the lifetime of this body. That is just the way it is. You are impinging on my eyes, for example, as I am impinging on yours. An intuitive moment is seeing it in terms of ‘you are in the mind’; ‘Buddha sees the dhamma’; ‘Buddha knows’; ‘there is the knowing of the way it is’. In the conventional world we do not contemplate in this way. We have ideas about each other as being realities, and we respect each other’s rights in terms of the social conventions that we are conditioned by. The conditioned realm has a whole range of qualities, from the very refined to the very coarse, from the gross to the subtle, from the good to the bad, from right to wrong, from near to far, the mental, physical, psychic, emotional, the different heavenly and hellish realms. The cosmologies that we adhere to or are conditioned by are explained by the infinite variety of conditioned experiences that we have in this form throughout our lives. Everything, even insanity and total delusion, whatever it is, is a dhamma. Dhamma is not exclusive. We cannot say that total delusion is not dhamma. Total delusion, complete and utter selfishness, maniacal hatred and everything, is still dhamma in terms of its condition, and it is something that impinges on us. Buddha is the knowing of condition as condition. Buddha is wisdom, knowing wisdom, and this is what we take refuge in when we use intuitive awareness as our means to experience and interpret experiences. So in Buddha-dhamma, there is a language. One of the problems that the various religions have with each other in interfaith meetings is the lack of a common language. Even though we might all use English, our experiences are interpreted through our own religious conventions. In Buddhism we are not theological in our approach. God is a term connected to a Christian idea and a theological view that comes from Judaism and Christianity. In terms of direct experience, however, we get beyond the convention of our religions. When you talk to Christians who are practising some form of mindfulness and intuitive awareness in the present moment, it seems that what they experience is pretty much what I experience. How they interpret that, however, is often different; they use Christian vocabulary. A few years ago we had a kind of dialogue at Amaravati with some Benedictine monks from Oxford. One of them was very avant-garde. 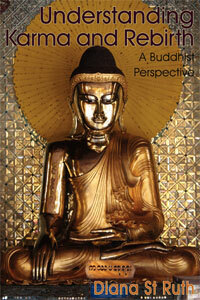 He had studied Buddhism, and at the time was busily learning the Abhi­dhamma. He talked about the experience of God as ‘nothing’, or ‘no-thing’. This was quite a surprise to me. In my life I had originally picked up this word ‘God’ as an old man in the sky. ‘Does God have a beard or not?’ This is a sort of child’s version. This Benedictine monk was not just being clever with New Age ideas, but had a meditative life. People like Thomas Merton and Christian meditation groups, experience God more and more as ‘no-thing’, as God not being a thing. In meditation, you transcend the conditioned process. With intuitive awareness, you are not trying to define or describe the ultimate truth, or deathlessness, or the unconditioned; you cannot describe it. That is why the Buddha used words like ‘unborn’, ‘uncreated’. These are all negations—anatta (not-self), nibbana/nirvana (unconditioned)—and negation stops the mind from clinging to the conditioning that we have acquired, the attitudes, the perceptions that we have depended on and which we use for understanding experience. The ‘mystical experience’, the ‘insight’, the ‘kensho’—all the ways of talking about that realisation of the deathless reality—is indescribable. You could say that it is the highest bliss: ‘Nibbana is the highest happiness!’ But that makes it sound refined—highest!—and the mind immediately becomes prepared for some very refined state of happiness—not the happiness of nonattachment but that of a special kind of happiness, something you would get only by refining everything in your experience to a point of there being no coarseness, no unhappiness and unpleasantness. In Buddhism we use the term ‘the Middle Way’, or we can say ‘a transcendent path’, but the word ‘transcendence’ also has its problems. We might think of it as ‘getting beyond’—‘I no longer need you; I’ve transcended the world and I’m not interested any more.’ Or it can sound as though we are floating up into the air. What all these words point to, however, is changing position from being the personality that is trying to become enlightened to the direct experience of knowing the reality in the present. The experience in the present does not have to be special experience; it does not have to be on a mountaintop with pure air and angels singing in the background. 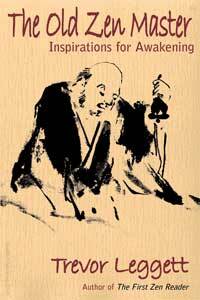 In Zen they have stories of a tile falling off the roof, or of some loud bang, or of something that really isn’t very much at all—­suddenly, the monk awakens, realises, in some very ordinary setting. Here in Britain it seems that all religions are represented in some form; this is now a multi-religious society. But we think of Britain as a ­Christian country and the cultural pattern is based on that assumption. Religion easily becomes a cultural tradition rather than a living experi­ence. Much of the Buddhism in Thailand is simply part of a cultural pattern. People are born into Buddhist families, and the way they are educated and think, and the ideals of the society, are based on Buddhist ideals; Buddhism is part of their cultural heritage. For some of us Buddhism is not part of our cultural heritage. Our own cultural heritage, however, also has to be respected and not dismissed or regarded in a negative way. It is easy to become a kind of Buddhist romantic, idolising Buddhism and disparaging Christianity, Greek philosophy, Western science, and so on. We might think, ‘Northeast Thai village life—that’s where it’s at. Modern day London is full of stress and materialism and based on all kinds of delusions.’ Western people can be very critical of their own cultures and backgrounds. I am trusting more and more in this intuitive awareness in which my mind is no longer influenced or bound by my cultural conditioning, or even by Buddhism itself; one is transcending even the Budd­hist convention. When you get into that state of pure awareness, the experience is—nothing! It is not Buddhist or anything, and there is nothing to say about it. Your mind is nonplussed, as it were. So then what can you say? It is interesting that after his enlightenment the ­Buddha did not try to present any kind of metaphysical doctrine to his followers. Instead, he tried to bring an intuitive awareness into their consciousness around suffering. In his first sermon in which the Buddha expounded the Four Noble Truths, he used the common experience of human suffering, the mundane, ordinary, daily life suffering that we have, as a noble truth. This is not high; it is something ordinary, something that we can all relate to. Suffering is not being blamed on anybody, neither is it being criticised or condemned; it is merely something to be recognised, to be accepted, and to be used as experience. That is the uniqueness of the Buddhist approach. Rather than trying to seek for Buddha or truth (dhamma) in terms of some idea or some doctrinal dogma that we might form around the concepts of Buddha and dhamma, the Buddha pointed to suffering and its cause. By recognising its cause as attachment to desire, we let go. When we let go of the cause, then we realise the cessation of suffering. The Buddha was actually teaching the way of nonsuffering. The Eightfold Path is really the experience of nonsuffering, in the present, in the here-and-now. This is not a dismissal of what should or should not be in the future, but if our minds are forever aimed at the future, there will be no way we can free ourselves from suffering. Just in our lifetimes over the last century, we have seen experiments in Marxism, Communism and democracy—marvellous ideals about the completely fair and equal distribution of wealth in a society where everybody has the same rights and privileges. Yet ideals are not based on the understanding of what the human condition really is, or how important spiritual development is to human beings. If we just live in a realm of ideals, then the practical realities of daily life—the ordinary suffering of ordinary people—tend to be dismissed. Then it is all right to commit genocide because ‘these people are causing trouble and so we’ll get rid of them, and once we’re rid of them we won’t have any more trouble’. That kind of thinking is reasonable, but it is not based on wisdom or understanding of the way things are, the understanding of the real problems and opportunities that are here for us as human beings on this planet. 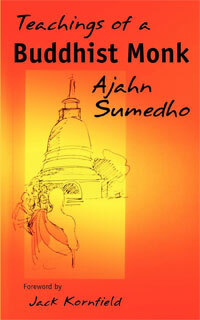 More articles from Ajahn Sumedho here. Ajahn Sumedho was the abbot of Amaravati Buddhist Monastery. The above is from a talk given at the Buddhist Summer School, Leicester, August 1997. A wide ranging article that I was first attracted to by a Facebook headline. Something about practicing Buddhism in a non-Buddhist culture. Enjoy! 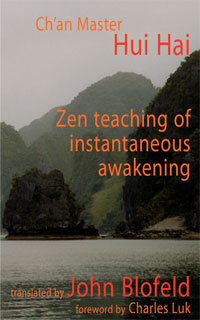 I am very much impressed by Ajahn Sumedho’s teaching. I have translated and published many of his talks in Marathi. My friends enjoyed them.